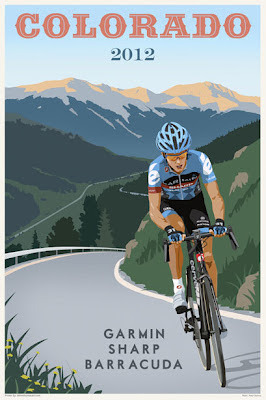 Slipstream sports has added another cycling poster to their limited edition store. This one is of the home state of Colorado. The rider is Boulder native Peter Stetina. If you like high mountain passes, you'll love this poster.